This Book of Memories memorial website is designed to be a permanent tribute paying tribute to the life and memory of Michael Kelly. It allows family and friends a place to re-visit, interact with each other, share and enhance this tribute for future generations. We are both pleased and proud to provide the Book of Memories to the families of our community. 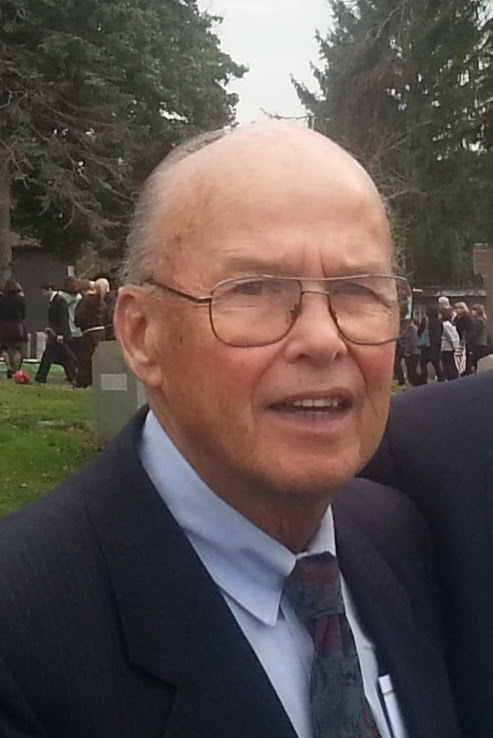 Michael S. Kelly Sr. passed away on Wednesday, January 9, 2019 while under Hospice Care at the Prince Georges County Hospital in Cheverly, MD. Born January 3, 1940, Mike grew up in Brentwood, MD in the midst of a very large family (seven brothers & seven sisters). At Bladensburg High School he played football and followed his interest in mechanics to race cars in his spare time. He earned his nickname “First Gear” by retrofitting his 58 Chevrolet transmission with one less gear to outpace his local competition, resulting in his introduction to his life-love Loretta. After marriage, Mike started a family of four and worked tirelessly with his family to establish and grow Kelly Catering Services, later to proliferate into the first mobile food service operation (eventually sold to ARA services by his father Winfield Sr.). His mechanical skills allowed him to establish his own building and renovation company in the late 1960s, and he never looked back. The attention to detail, faith in God, Loretta, and positive energy drew many young men to work with him to establish their careers in home remodeling. Kelly Contracting expanded and the family of six moved to Davidsonville to build an operating warehouse, cabinet shop, and supply depot. Without advertising, Mike’s ingenuity and drive allowed all of his children to excel in college and achieve successful careers. His dedication and hard work became a way of life that is respected even today. Mike’s propensity to enlist and engage youth continued in various local men’s business/social clubs (Parole Rotary, Davidsonville Ruritan and Boy Scouts). Foregoing personal gain, he annually accomplished major volunteer building projects via Habitat for Humanity, and Christmas in April Homes, giving back to the community without recognition. Fulfillment in his life was at service to others. “Pops” became a mentor to his grandchildren, and many local youth interested in the building trades. He was an accomplished fisherman, captaining his 35’ Markley proudly throughout the Bay, and was uniquely embraced by the craftsmen who assisted retrofitting his boat. His favorite quote “We are in good shape for the shape we are in!” A cherished member of the Holy Family Catholic community in Davidsonville, he will be missed as a dedicated servant of the Lord. Mike Sr. was predeceased by his parents, Winfield Sr. and Margaret, of Berwyn Heights, MD. ; his sister Susan, and his daughter Cristina. He is survived by his wife of 59 years Loretta, three sons, and his six brothers, six sisters; and many beloved nephews, nieces, and cousins. Family and friends are invited to celebrate Michael's life on Thursday, January 17, 2019 from 5 to 8pm at the George P. Kalas Funeral Home, 2973 Solomons Island Rd., Edgewater, MD. A Mass of Christian Burial will be offered on Friday, January 18 at 10:30 at Holy Family Catholic Church, 826 W. Central Avenue, Davidsonville, MD. Interment will follow at Lakemont Memorial Gardens. Davidsonville, MD. In lieu of flowers, contributions may be made to the MSK Youth Building Trades Scholarship fund, 5356 Buffalo River Road, Earlysville VA 22936.